Partnered with global resource leaders, BioteQ builds and operates water treatment plants providing profitable metal recovery and sustainable environmental solutions. 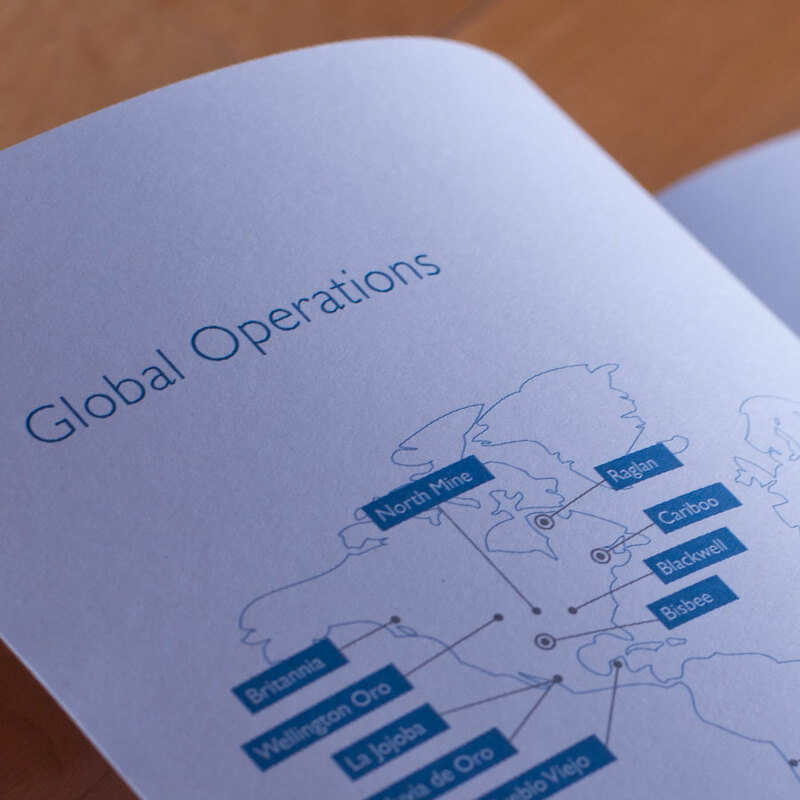 BioteQ wanted to provide a corporate brochure to communicate their environmental solutions to their perspective clients in an comprehensive, simple and sophisticated presentation. The result brought upon a contemporary green and white layout orchestrated by crisp, clean lines that were juxtaposed with vivid photographs of their operational sites. Clear, colorful graphs and a modern font was chosen for the information to be set against recycled coated stock. The final piece measured 9″ x 11″, included a diecut rear pocket to hold marketing material such as annual reports, and an insert for business cards.